Our Riding School opened June 21st and it has been amazing, I love it! It is hard work but it's been worth every minute, to watch these students grow in character, developing self confidence, becoming courageous, determination to overcome and the list goes on. This quote by Toni Robinson sums it up "Horses change lives. They give our young people confidence and self esteem. They provide peace and tranquility to troubled souls, they give us hope!" October brought us a new adventure with a precious little boy named Elijah. Eli is 3 years old and has autism, Eli is also our grandson who has come with his family from California to live here at Casey's Place. In just a few short weeks Eli's animal-assisted activities are packing some big rewards! Mom's review "When we first came he was so shy and reserved. His confidence has BOOMED. He tries to get involved and play with the other kids whereas he used to only parallel play by himself. He's so courageous now too and not scared to try new things." November's camp was a little chilly but turned out to be a beautiful day! With campers wearing jackets, hats and gloves we had an awesome day. The camp fire was very much enjoyed and certainly a lot bigger than the one we have in July :) The kids enjoyed making bird feeders (in the horse trailer), Christmas ornaments, balloon races, sack races, horseback riding and riding in our newly renovated train. Lots of smiles and laughter, makes my heart smile just thinking about that day. So thankful for our volunteers!!! It is our volunteers that help us achieve our vision at Casey's Place! We are so grateful for their willingness to serve and give of their time but most of all the unconditional love that they have for the children that visit. We have had an awesome month!!  Casey's Place has hosted over 200 children and our first ever Family Day was a great success with 6 moms and 11 children. Riding School is well under way and going very well! We still have available spots so don't delay get started today. We were blessed with a donation from a friend of Casey's Place of a black angus heifer named Tulip on Monday the 27th and our beautiful foal was born on Tuesday the 28th. Check out the their pics on our Facebook page. We are looking forward to what God has in store for us in July....we will keep you posted! Busy, busy, busy is our motto as we prepare for our summer camps! From working on playground equipment to trimming overgrown trees (can't have tree limbs in the way of the basketball goal) to caring for the horses and other animals to organizing the activities there is just not enough hours in the day. So what motivates us? The smiles, the laughter, the children running, jumping and playing while they are here it gives us an unexplainable joy deep within our soul. We can't wait for our gates to open and those kids to get off their buses. Let summer begin!!!!! Robin B Cruz is a certified life coach and founder/director of Casey's Place.